At Supercrete Concrete Pumps, we work with you to give you the best possible result for your new Concrete Pump. We are innovative and work to YOUR designs. 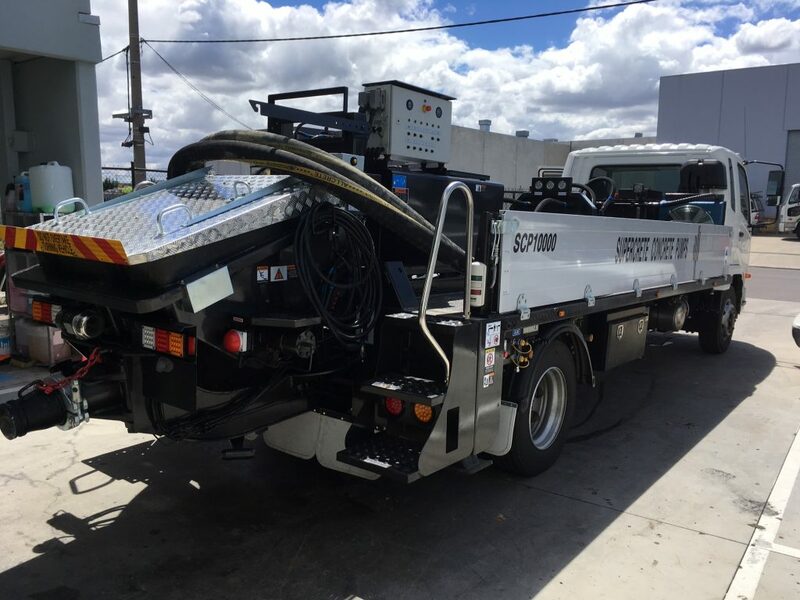 You choose your truck for the concrete pump to be mounted on – all our concrete boom pumps and line pumps are manufactured to your specifications. Our delivery time from Korea, from the time the order is placed until it reaches the Brisbane wharf is 6 weeks. You can have your new concrete pump working for you within 2 months of your deposit being paid. This black Line Pump was manufactured for a Melbourne company.